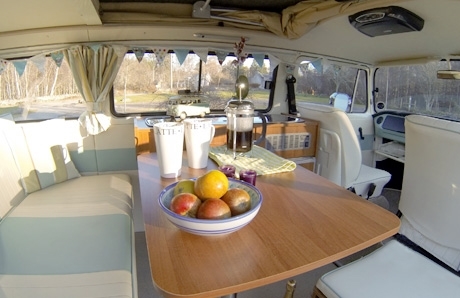 Welcome to Deeside Classic Campers Ltd! 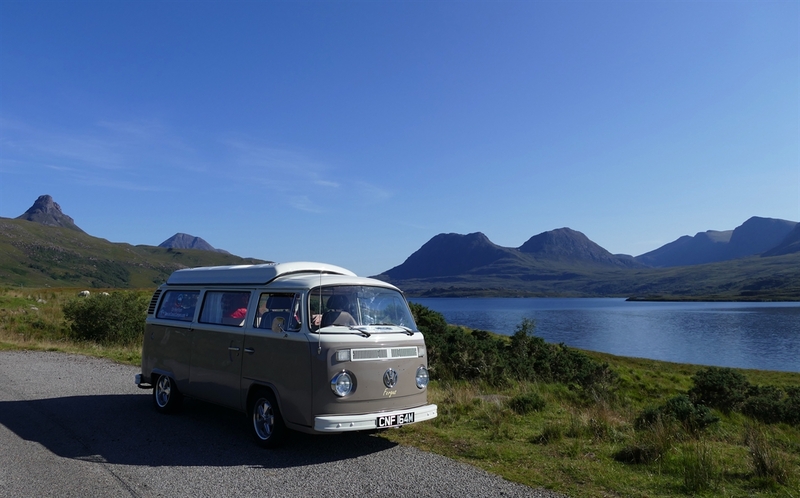 We have award winning and show condition classic VW campervans to explore the lochs and glens of the most beautiful country that is Scotland. For your adventures, festivals, wedding or corporate hire. 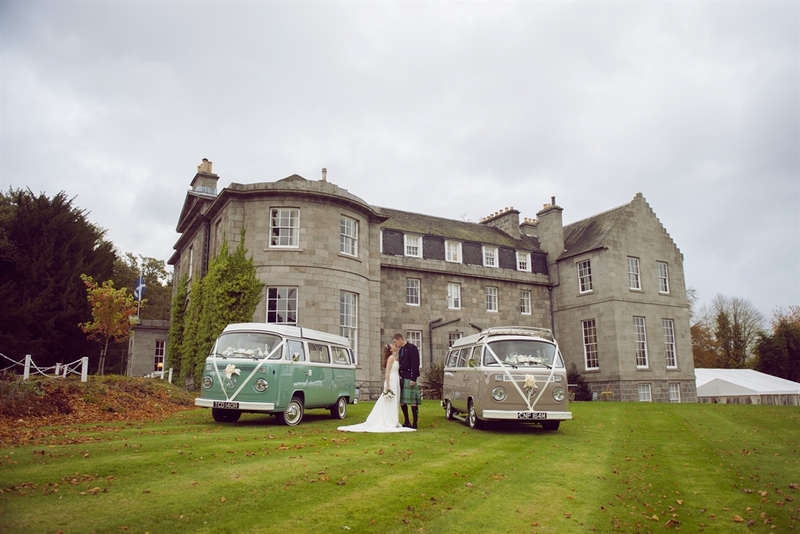 We specialise in the provision of high end classic VW campers for your holiday, wedding, event and much more! " Finalists in the Elevator Awards 2015 in the Category of Most Promising New Business!" 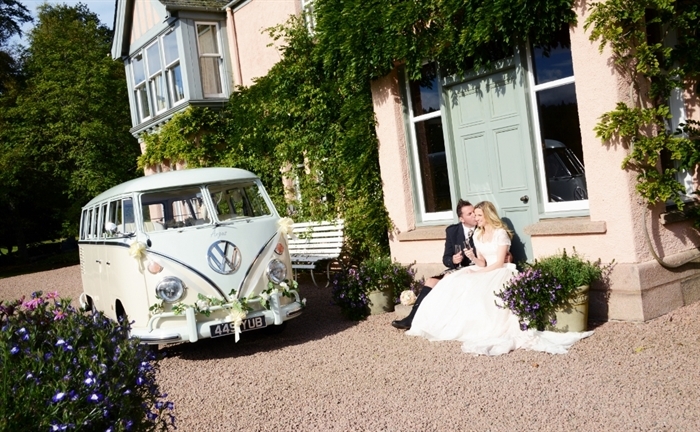 Using stunningly restored, and beautifully appointed two 1970s classic Volkswagen Campers with brand new air-cooled two-litre engines, (we will give you a fabulous Classic Camper experience with none of the ‘old camper’ problems), one 1962 split screen wedding bus, and new for July 2016 a brand new prestigious converted T6 VW campervan. 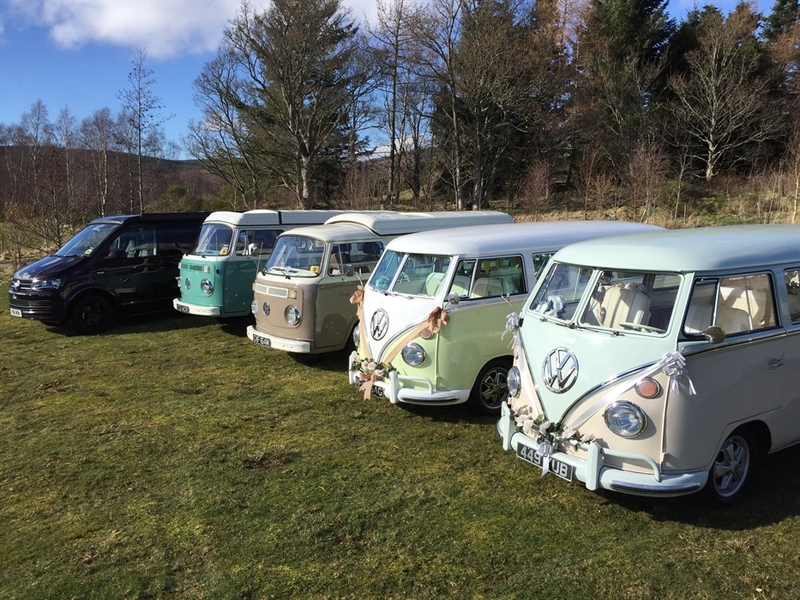 We can assist in planning your wedding or VW adventure and provide you with suggested routes, recommended campsites and many high quality camping items. This means that you can arrive with simply your personal bag and we can equip you with everything else, making your journey to us very simple! 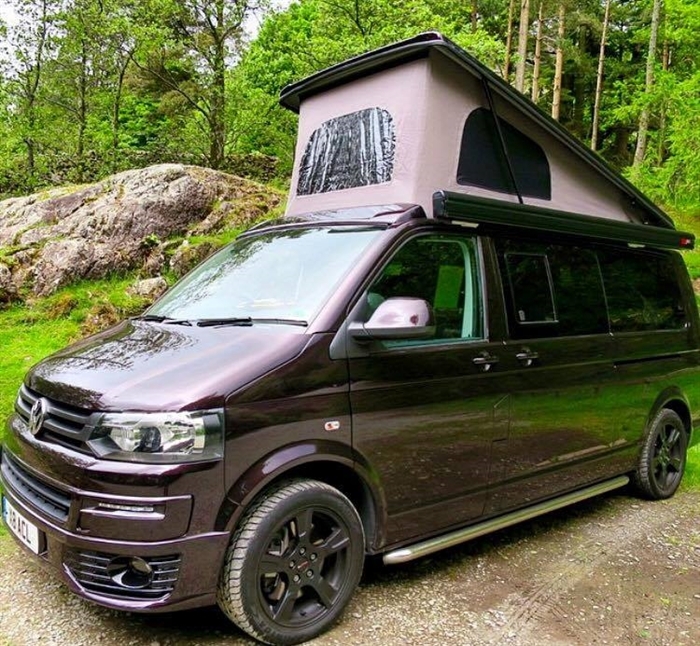 Our optional extras with the hire of your camper include moutain bikes, bike racks, bedding packs (duvet, pillows, bath towels), an air frame awning, baby/child car seats, and a luxury hamper provided by Finzean Farm Shop on our local sporting estate! Should you wish an additional driver in your party - no problem! Our location on the edge of The Cairngorms National Park is the perfect place for you to start your adventure. We are centrally based for easy access via wonderful roads. Head south to The Borders, west through the Cairngorms to the Western Isles, or North to The Highlands and the stunning deserted beaches of the north coast and Inner and Outer Hebrides, travelling through the breathtaking Highlands of Scotland. We are members of the Camping & Caravanning Club and therefore pass on our discounts to our customers! Every little helps! Our campervans are probably the best campers you can hire in the UK! What are you waiting for?! ... We look forward to seeing you!